Difference between revisions of "BobCarotte"
<b>BobCarotte</b> is a member who joined SBM on August 14, 2014. Despite this, he had begun posting on the forums in June 2015. He was promoted to chat mod in February 2018. <b>BobCarotte</b> is a member who joined SBM on August 14, 2014. Despite this, he had begun posting on the forums in June 2015. He was promoted to chat mod in February 2018 and became a global mod in August 2018 but resigned 4 months later, due to SBM being very inactive and being pretty busy in real life. He is currently 18 years old. He speaks 2 languages fluently: French (his first language) and English. He lives in Quebec, one of the Canadian provinces. His brother [[El Jacko]] is also an SBM member. He speaks 2 languages fluently: French (his first language) and English. He lives in Quebec, one of the Canadian provinces. His brother [[El Jacko]] was a SBM member who was banned along with several former SBM regulars by protesting agaisnt [[ssj4gogita4]] unbanning MDPP in mid-December 2018. Besides SpongeBob, he enjoys older cartoons like Rocko's Modern Life or Ren & Stimpy. His favourite episode of Ren & Stimpy (Son of Stimpy) is often mentioned by him, to the point of including it in every movie night he would host. His favourite foods are carrots, poutine, lasagna and hamburgers. He especially loves the burgers from Burger King. Some foods he dislikes are pickles, cucumbers and everything from McDonald's. As of 2018, he is not very active in the forums but he mostly spends time in the SBM Discord chatting with other members, playing with the bots and moderating the chat. As of 2019, he is not very active in the forums as he is mostly busy with life. BobCarotte is a member who joined SBM on August 14, 2014. Despite this, he had begun posting on the forums in June 2015. He was promoted to chat mod in February 2018 and became a global mod in August 2018 but resigned 4 months later, due to SBM being very inactive and being pretty busy in real life. He speaks 2 languages fluently: French (his first language) and English. He lives in Quebec, one of the Canadian provinces. His brother El Jacko was a SBM member who was banned along with several former SBM regulars by protesting agaisnt ssj4gogita4 unbanning MDPP in mid-December 2018. He has a YouTube channel with over 300 subscribers, the username being the same as on SBM. He used to make YouTube Poops with an IRL friend of him in 2014, which they were all uploaded to his channel. However, Bob deleted them all in 2015 because they were cringey in his opinion and he feared that Viacom would close his account. As of April 2018, he has been nominated 8 times in the SBM Awards, but he still hasn't won one. He reached 1000 posts in October 2015, almost 4 months after he started posting. 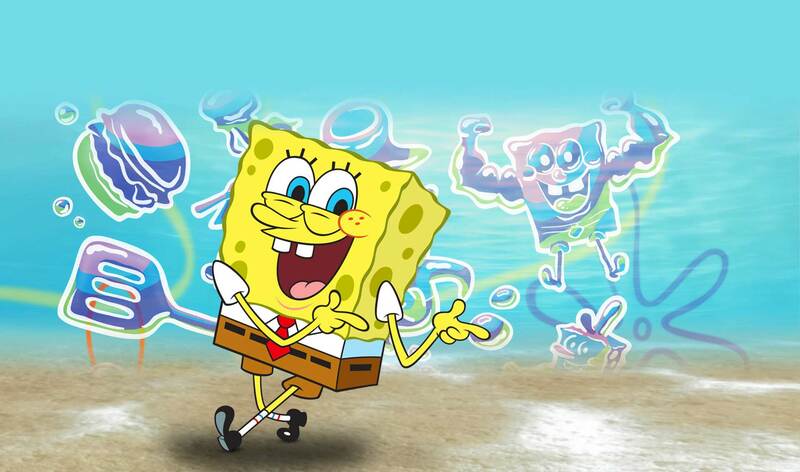 As of May 2018, he has rated all episodes of SpongeBob. He gave 10/10 to only 13 episodes. This page was last modified on 9 January 2019, at 21:29.